Only one Presidential Candidate has ever been assassinated. But 2016 is no ordinary election year. "This fast-paced political thriller will serve as a reality-enhancing overlay. Watching a presidential debate will never be the same…"
Two conservative billionaires, looking to protect their business interests, plot to kill Republican nominee Ronald Drump. The assassin they contract is meticulous, methodical and he never fails. When two FBI agents accidentally stumble on a faint trail hinting at a possible high-value assassination attempt, the 2016 presidential campaign season is already in full swing. They race to catch up with the killer and stop him before he can fulfill his contract. But will they be on time? "To anyone following the election, this fast-paced political thriller will serve as a reality-enhancing overlay. 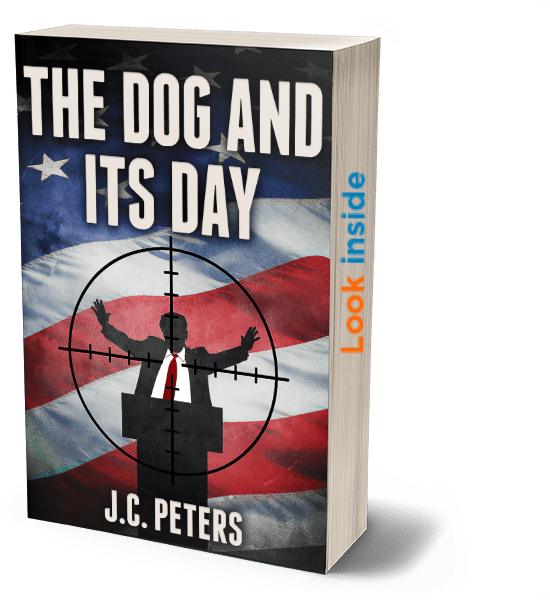 Watching a presidential debate will never be the same…"
"A riveting tale of political intrigue, murder and justice, set against the backdrop of the 2016 presidential election" Amazon review." "Hooked from the first page and I just could not put it away. A real page turner!" "Favorite caracter, the assassin of course. Great read, you won't be able to put it down."